Discover the delicious diversity of dal in this hands-on cookery class in South West London hosted at Indian cookery school Meri Rasoi. 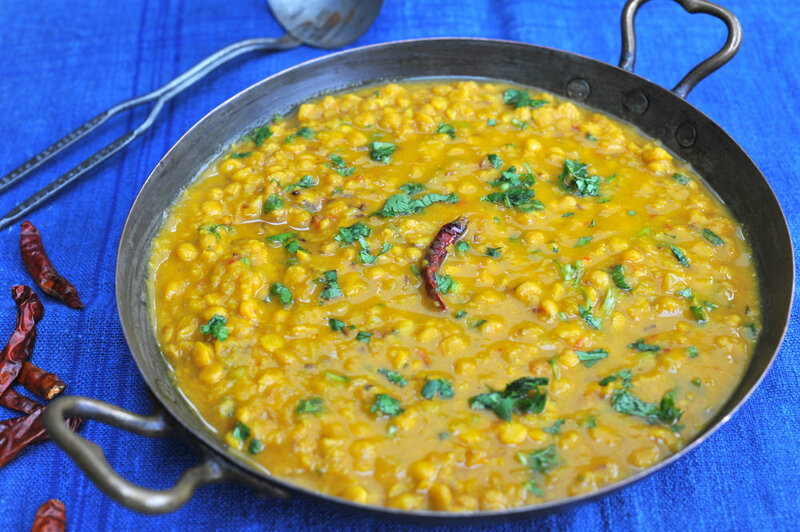 This one-off vegetarian/vegan class will be all about dal. You will learn about the long tradition and heritage of cooking with pulses in within Indian cuisine. We will explore a range of recipes including a dhaba style North Indian Chana Dal, Pindi Chole inspired by a family recipe for chickpeas and even Dal Rotis (Indian flatbreads made using cooked Chana dal). We will then enjoy the results of your work over lunch. You will be inspired by these easy, everyday dal recipes that can help you include more pulses in your diet. As part of this experience, you will gain valuable tips to set up your own little Indian kitchen and preparing basics such as spice blends and pastes to make your life easier when cooking Indian food. We also spend time discussing and going through my spice pantry which will leave you with a greater understanding of the application and benefits of various spices used every day in Indian cooking. Meri Rasoi is led by Nidhi Verma who aims to demystify Indian cuisine and share her love for authentic and delicious Indian food by teaching classes from her home kitchen in Raynes Park, south west London and sharing her family recipes. Meri Rasoi classes are hands-on, fun and sociable. Aprons, recipe sheets and all ingredients are provided and all you need to bring is your enthusiasm and a healthy appetite for delicious home food! Tickets are £75 per person. Includes: Complimentary apron, recipe sheets, all ingredients.